Marchers particpate in The Pilgrimage of Earth and Water in the municilpality of Açailândia. The Pilgrimage is meant to bring attention to the region’s environmental problems. Someone compared it to the story of David and Goliath, but we like to think of it more like the long journey of Exodus: the enormous challenge of taking the initial step of obtaining liberation; the loyalty necessary to remain true to the initial dream; finally, the Promised Land looms within reach. It is the story of Piquiá-de-Baixo: a small suburban community of the Amazon, in the Carajás region of Brazil, which has finally won its battle against a mining giant. It is a story that began decades ago with the Grande Carajás Program (GCP). One of the most ambitious programs that, since the sixties, promised the “development” of the North of Brazil. In the heart of the Amazon forest, in the state of Pará, the richest iron ore mine on earth was discovered. The Brazilian mining company Vale SA – which at that time was state-owned and is now almost totally privatized – sank its claws deep into it. Today Vale is among the three largest multinational corporations in the world. However, to this day, there isn’t even a trace of the “development” promised the Carajás region. 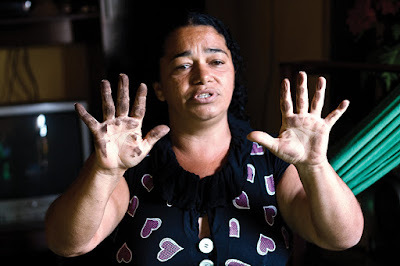 The “curse of aplenty” settled also on these territories that have been violated by mines and steel producers as well as by a long railroad corridor that cuts through Brazil for 560 miles, in order to transport the iron ore to the port of São Luís, in Maranhão. From there it goes out to China, Japan, Northern Europe, and even Italy. The story of Piquiá-de-Baixo, on the other hand, starts from the bottom: a lesson of life and missionary strategy, for us who were trying to support the people from without. Piquiá-de-Baixo is an Açailândia district, a small town on the outskirts of Maranhão, one of the poorest states in Brazil. In the dazzling backdrop of the promises of the Grande Carajás Program, Açailândia should have shined on its own. In 1985, a new railroad built solely for exporting the mined ore so that in the five large steel companies in the Piquiá industrial district could begin their steel production immediately, and that’s how things have gone on since 1988: 14 blast furnaces began to spew smoke and dust engulfing homes, schools and residents. No natural resource was left untouched: in addition to iron ore, they needed plenty of water for cooling the furnaces and firewood to make charcoal for the iron smelting process. In Piquiá they found all they needed. However, there were also people living there; people forced to adjust to an alternative balance of coexistence with the environment and the surrounding nature. It’s the same old story, repeated with the same neocolonial narrative in every corner of South America: the State coffers and those of big corporations remain filled to the point of overflowing provided that the natural resources, of which the country has plenty, are totally exploited. It works by primarily focusing on raw materials that can be mined; it boils down to the plundering of goods meant for all citizens such as water, land, and forest until all that is left is an empty shell. What will be left to future generations doesn’t concern today’s prevailing government policy, and even less so the multinational corporations who benefit. The latter will simply migrate to a different area in search of easy money as soon as present resources dry up. In his Encyclical Laudito Sì the Pope wrote: “In the present condition of global society, where injustices abound and growing numbers of people are deprived of basic human rights and considered expendable, the principle of the common good immediately becomes, logically and inevitably, a summons to solidarity and a preferential option for the poorest of our brothers and sisters. 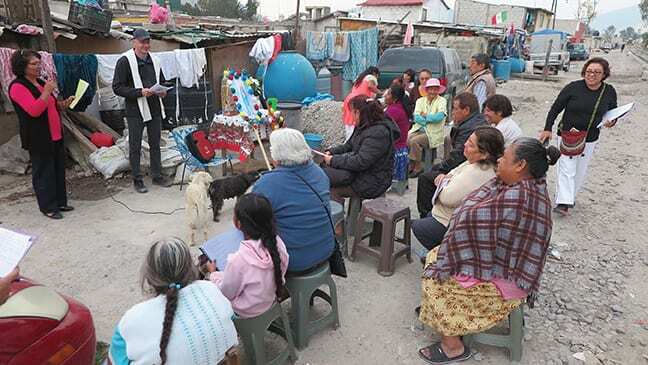 This option entails recognizing the implications of the universal destination of the world’s goods, but, as I mentioned in the Apostolic Exhortation Evangelii Gaudium, it demands before all else an appreciation of the immense dignity of the poor in the light of our deepest convictions as believer”(LS 158). Resident of Piquiá-de-Baixo showing the impact that the constant pollution has had on her house. Without knowing it, he was taking the first steps towards what later would be the winning strategy in this battle over Piquiá, a case that would eventually be lifted onto the national and international stage. When the Presidency Secretariat replied to him, Edvard understood that the cry of the marginalized, although it can be muffled, it can never be fully silenced. It is at this point that we missionaries joined the fray. We came across Edvard’s plight through circumstances that could only have been guided by the Holy Spirit. We were familiar with the situation in Piquiá, but we never imagined we would be able to join forces, an effort that would last ten years and consist of charges, claims and proposals. Fidelity to the poor is not a question of heroism: it is an inevitability as we live in their midst. Being among them on a daily basis, we feel obligated to find a way out, to mark some progress on the path of justice. The first thing we did was simple: we listened to the people of the community. What did they really want: to fight against the steel companies? Yes, but it was impossible to uproot them and move them elsewhere; the disproportion of forces was too enormous. What about exposing their violations? Yes, but trials are still ongoing and no monetary compensation would restore life to the people. The community began to organize themselves on these fronts, however they preferred to focus most of their energies on another two fronts: reducing polluting emissions and wrestling the right to collectively transfer everyone into a new neighborhood from the State and the steel companies, one away from the smoke and the dust, one that could properly accommodate all the people and built as a new community project. The popular resistance slogan from that day on became: “Piquiá, resettlement now!” or “Transfer now!” The community had to be fully sold to their new cause: public demonstrations, protests, road blocks by the entrance of the factories, sit-ins in front of the mayor’s home, town hall and the municipal court, articles detailing their sufferings, partnerships with other communities hurt by pollution and so on. 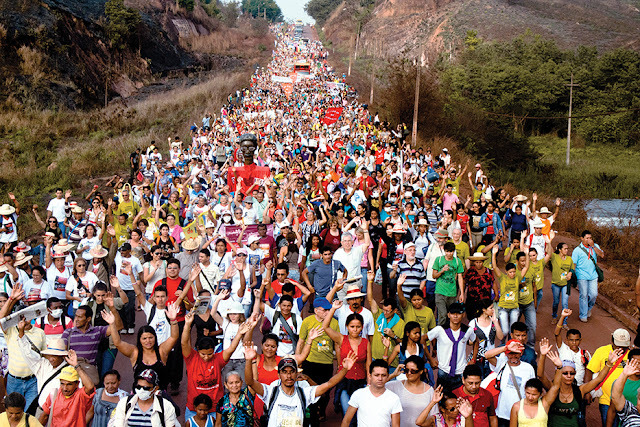 Hence, Piquiá begins to be mentioned a little just about everywhere: in environmental circles, social movements, Church sectors socially engaged in causes of justice… The bishops of the Maranhão State, in particular, in 2011 organized a great celebration of denunciation and solidarity, called The Pilgrimage of Earth and Water. During a whole- night vigil and a long procession, ten thousand people witnessed the inextricable link between Gospel and the care of the “common house” that is the earth. The voice of those deemed small and insignificant was becoming louder and louder, reaching international institutions of human rights. Edvard himself was able to get a hearing before the Commission on Human Rights, in Washington, D.C.. Danilo Chammas, the Association’s lawyer and human rights advocate, who also brought his testimony forward regarding the responsibility of the Brazilian Nation in this matter and the extremely slow pace displayed in solving the problem. Something similar happened with the UN High Commission for Human Rights. Piquiá is a name that begins to be frequently mentioned in Geneva and at the United Nations. Twice these international agencies wrote to the government of Brazil, requesting clarification and urging immediate action to reduce and repair the damage already done. Concomitantly, the responsibility held by the companies at fault was also progressively highlighted. In 2012, the Public Eye Award declared Vale SA “the worst company in the world”. In 2015, the Appellate Court of Maranhão, siding with the suing families, issued its decision, officially indicating the steel company’s responsibility in the matter. It seemed like, little by little, the chickens were coming home to roost. However, the construction of the new neighborhood has not yet begun, because of bureaucratic delays and the recent, sudden change of government. If all goes well, it will take two and a half years. So, presently, the community must remain vigilant, as it was on the first day of this long Exodus that will eventually lead to their freedom. One thing is for certain: this journey has strengthened our faith in God and in people. It is evidenced by the ability to organize a small community against a giant, also by the decisive role that the Church can play when she sides with the excluded. Although the “Promised Land” may never be reached, because the sheer size of these injustices is so daunting, the very journey that we have made and are making, purifies us and makes us more human; it makes us people of solidarity and hope even though every little victory under our belt seems to generate new violations and new acts of violence.